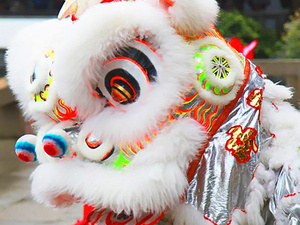 Celebrate Chinese New Year, the most colorful and joyous of all Chinese festivals during Lan Su Chinese Garden's two-week celebration featuring lion dances, cultural performances, martial arts, calligraphy, family-friendly craft activities and much more. Enjoy special extended hours in the garden from 10 a.m. - 5 p.m. during Chinese New Year — Year of the Pig (February 5 - 19, 2019). Activities take place daily; start planning your visit today at lansugarden.org/chinesenewyear. The celebration ends with several nights of Lantern Viewing Evenings when the garden is illuminated with colorful lanterns and a lively dragon procession. Please note: a separate admission ticket is required for this event. Learn more at lansugarden.org/lanternviewing.